Motorola has updated its most affordable smartphone with some not so entry level features. 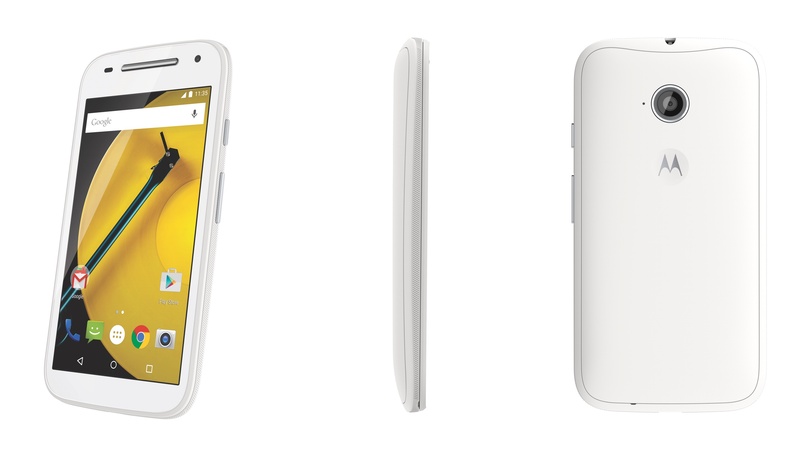 For the first time, the Moto E comes with available LTE while also coming in a GSM-Only version. Let’s take a look. For Specs, the phone is built around a 960×540 IPS display. It’s not up to the level of some of the higher-end phones, but for a phone under $150, it’s not too shabby. The new Moto E comes in with a pair of CPUs. The GSM version comes with a Snapdragon 200 system on a chip while the LTE version comes with the Snapdragon 410. Both are 1.2GHz quad cores. The phones also come with front and rear cameras this go around, 8GB of storage with a MicroSD slot for more, and 2390mAH battery. Unlike other budget phones which tend to use Android versions one or two releases out of date, the new Moto E will ship from the get go with Android 5.0 Lollipop. For pricing, the 3G version will set you back a $119.99 while the LTE version will cost $30 more at $149.99. These are unlocked off-contract phones that’ll work with AT&T or T-Mobile in the U.S. Carrier specific versions were not announced in the new Moto E’s announcement.